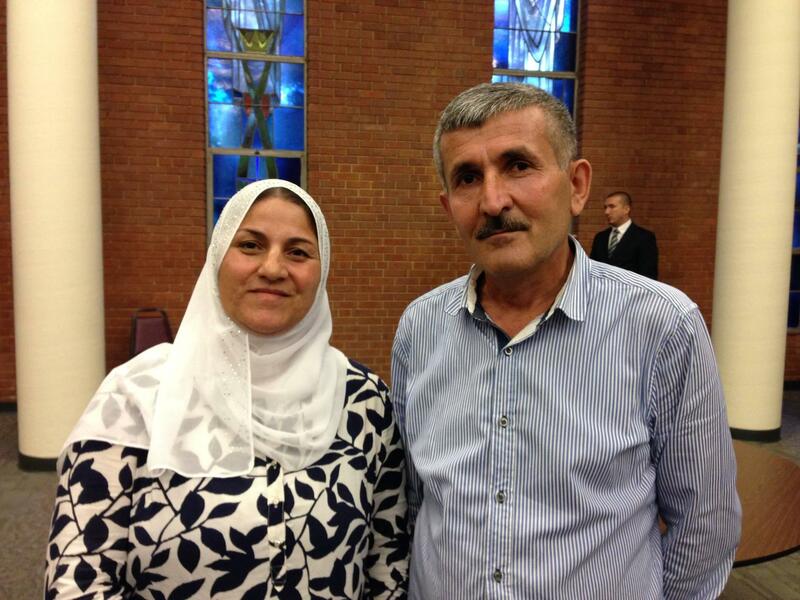 Mohammad and Samira Said are two of the 29 refugees that have been resettled in St. Louis so far in the past year. Since 2011, more than 4 million refugees have fled for safety across Syria’s borders. Before coming to the U.S. they lived in Istanbul, which they say was hard because they had no jobs, no papers and their four children, aged 14, 15, 17 and 20 could not go to school. Maria Altman interviews Mohammad and Samira Said, who are two of the 29 Syrian refugees that have been resettled in St. Louis in the past year. President Barack Obama on Thursday issued a directive for the U.S. to accept 10,000 Syrian refugees in the coming fiscal year, and many are wondering what role St. Louis could bringing a large number of those refugees here. But what about the future of other Syrian refugees looking to resettle in St. Louis? Faizan Syed, the Executive Director of the St. Louis Chapter of the Council on American-Islamic Relations, has organized a march to bring more Syrian refugees to St. Louis in the coming year and posted publicly on his Facebook page that the number Obama is proposing is “an insult,” calling for many more than that amount to be brought to the United States. Syed has echoed calls by humanitarian and religious groups, as well as a coalition of 14 Democratic senators, to bring 65,000 refugees to the U.S. by the end of 2016. Meanwhile, others in St. Louis have suggested 60,000 Syrian refugees be brought here, citing the resettlement of Bosnians to St. Louis in the 1990s. Anna Crosslin, president and CEO of St. Louis’ International Institute, said that number isn't realistic. The way the rest of the community was built was through two routes—the secondary migration of refugees resettled in other U.S. cities and also through the children of Bosnian refugees who are natural-born citizens. Fifty percent of the 50,000 Bosnians in St. Louis are estimated to be the children of refugees. “So, our ability to resettle 60,000 Syrians depends on the question of whether there are 60,000 Syrians available for any city [in the U.S.] let alone St. Louis,” Crosslin said. She also mentioned that she and other St. Louis leaders are hesitant to put out concrete numbers for Syrian resettlement because they are waiting for word from the federal government, which influences what local response will be. Mayor Francis Slay said at a press conference on Thursday that the city is "ready and willing" to take in more refugees. He said his paternal grandparents came to St. Louis from Lebanon before World War I. "Our family has been engaged in business and political life for many, many years, and I think we owe it to others to show compassion," Slay said. The mayor also released an informal poll Thursday asking about St. Louis’ potential role in responding to the refugee crisis. As of late afternoon, 65 percent polled said the United States should increase the number of refugees admitted and 43 percent responded that the country should take more than 65,000. About 16 percent of those polled said St. Louis should take no refugees. Jana Mason, a Senior Advisor for External Relations and Government Affairs for the United National High Commissioner for Refugees (UNHCR), said that only a very small number refugees worldwide are resettled. Anna Crosslin and Jana Mason. Mason said the U.S. has traditionally shouldered half the resettled refugee burden, which is where the 65,000 number comes from. What is a refugee? And what does resettlement mean? Are there limits to the number of refugees that the U.S. can take in? 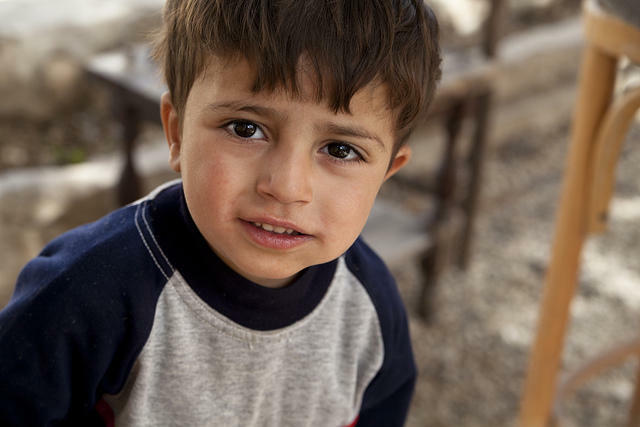 “Most of the Syrian refugees are in neighboring countries--4 million,” said Mason. “Most will stay there until it is safe to return to Syria, which we hope will be soon. Others are undertaking the journey to Europe. And others will hopefully find new homes in the US or other countries. St. Louis will hopefully be one of those cities where they could find a home. What do we know about the backgrounds of refugees, specifically given security concerns coming from the Middle East? Typically, a refugee will sit in front of a Department of Homeland Security official, tell his or her story, have fingerprints taken and is checked against an FBI and other interagency databases. Mason said refugee populations are one of the most heavily screened populations of immigrants that enter the U.S. “It’s one of the reasons it takes several years for refugees to be admitted, the process is not taken lightly,” Mason said. What is the religion of Syrians and how can we expect them to mesh with American culture? Mason also added that, generally, when a marginalized group flees persecution, they want to leave conflicts behind and focus on their new lives. Should preference be given to persecuted minorities? Why would St. Louis be a good fit for Syrian refugees? Crosslin also mentioned that the Bosnian community has stepped forward during the 20 years after its own resettlement and said they would step up and help Syrian refugees if they were resettled here. “Syrians may arrive here without friends and family, but they will have a supportive community of others that we have helped already,” Crosslin said. Special thanks to Maria Altman, who contributed to this report.